John Anderson (Variety) – The docu he has made will shock even the most jaded auds, disgust many and generate righteous indignation in an era when such sentiments might seem passe. 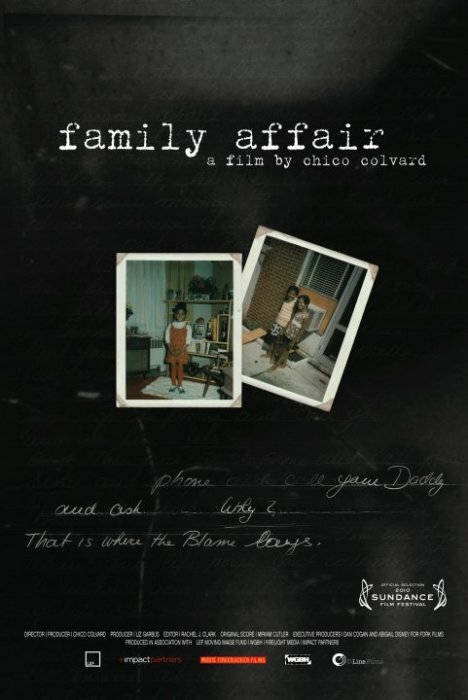 Chris Faraone (Boston Phoenix) – You will never, ever, ever complain about your family again after watching the first 15 minutes of Family Affair. Robert Levin (Film School Rejects) – …it’s a courageous achievement, a rare example of a filmmaker exposing himself without restrictions, unearthing a dark story of personal and universal significance, with just the right measure of hope. Leah Silverman Gales – A compelling, revealing, shocking, compassionate, relevant and important film. See it. Jennifer Geddes – I saw this last night @ Hot Docs in Toronto — wonderful film. Very difficult to watch for me, but also very inspirational. Thank you to all involved for making this film. Libby Lynn – would love to see this doc again. easily the most personal and intense doc at full frame film fest. best of luck in MD! Jeff Konigsberg – A powerful movie. Masterful job by Editor Rachel J. Clark. Watch the trailer, read more about the film and buy your tickets today. This entry was posted in Uncategorized and tagged childhood abuse, dysfunctional family, sexual abuse, spousal abuse. Bookmark the permalink.